Nebraska City, NE – The Arbor Day Foundation has again named Upper Peninsula Power Company a Tree Line USA Utility. The Tree Line USA program is sponsored by the Arbor Day Foundation in cooperation with the National Association of State Foresters. It recognizes utilities that meet three requirements: a program of quality tree care, annual worker training in quality tree-care practices, and a tree planting and public education program. “Across America, people are recognizing and celebrating how vital trees are to our cities and towns, “ said John Rosenow, Chief Executive of the Arbor Day Foundation. “Trees help reduce peak energy demand, and they also clean the air and water, increase property values, and make our homes more comfortable. Upper Peninsula Power Company’s tree program is managed by the company’s line clearance coordinator, Robert Taggart. In addition to overseeing line clearance activity across UPPCO’s 10-county service area, every spring Taggart works with selected schools and community groups to plant trees. These Arbor Day projects beautify the community and teach participants the proper way to plant and maintain trees. HOUGHTON, MI –Do you believe that investing in a greener tomorrow is the right thing to do today? Are you looking for a simple way to help the environment and preserve resources for future generations? If you're a customer of Upper Peninsula Power Company (UPPCO), the NatureWise® program may be just what you're looking for. For a few dollars a month, NatureWise enables you to buy "blocks" of electricity generated with renewable resources that are added to UPPCO's energy mix. Currently NatureWise energy is generated using wind power and methane from landfills and manure digesters. Over a year's time, each block (100 kilowatt-hours per month) of NatureWise energy displaces the equivalent of 1,000 pounds of coal. NatureWise energy is sold in 100 kilowatt-hour blocks for $4.00 a block. (This charge is in addition to the standard electric charge.) You may purchase as many blocks as you wish, but all purchases must be in whole blocks. No contract is required, and you may cancel at any time. An insert describing the NatureWise program, including an enrollment form, is sent to all UPPCO customers with their September bills. You can get also get more information or enroll in NatureWise over the phone. Residential customers may call UPPCO's 24-hour customer service number at 800-562-7680. A special program is available to business customers by calling the Business Solutions Center at 800-337-8445. For a more complete description of the program and answers to frequently asked questions, visit UPPCO's Web site at www.uppco.com and click on the NatureWise link under Electric Rates. 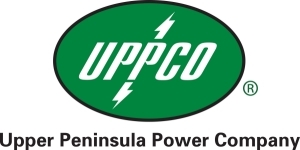 If you're not an UPPCO customer, check with your local electric utility. Many have programs similar to NatureWise for their customers.